Peel-Off Stickers: Our Peel-off labels are made just for AutoPlus. 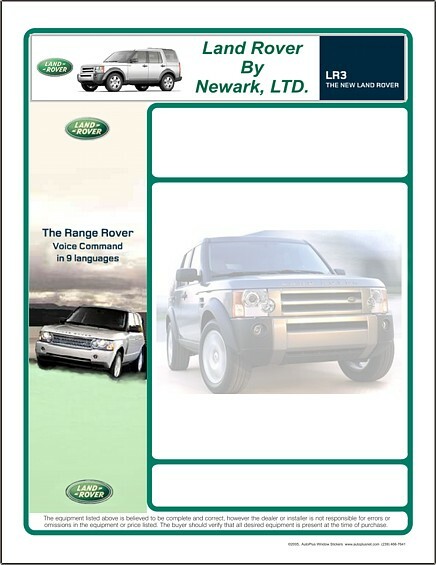 They are heavy-weight, bright-white, laminated forms with a 3/8 inch peel-off border just like the best new car labels. They are installed on the inside of the vehicle window. Our labels lay flat and can be printed by most any windows printer (laser, ink jet, dot-matrix, etc.). $.99 each in quantities of 100 or more. Our outside labels require a laser printer. A color laser printer is best. 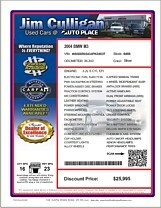 Note: AutoPlus does not charge any usage fee, VIN decoding fee, or monthly printing fee. You simply purchase AutoPlus forms and you get the best unlimited tech support and the best system available. There is no extra charge for a custom color substitution on an existing standart label style. 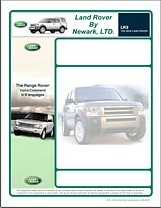 We create your custom window sticker design file and send it to you. You then place the file in a specific folder on your computer. Our APexpress software takes care of the rest! There is a one-time artwork charge to create your custom design file, typically $79 or less. You can use any laser printer (a color laser printer is best) to print your custom window stickers when you need them. No more wasted stickers - if you want to change the design, just ask us to make a new design file and send it to you - it's that easy. Window Sticker Standard Label Styles. You may specify colors. Peel away the 3/8" border to expose the adhesive. The standard disclaimer is pre-printed at bottom of this form. Click to see an example of this sticker with vehicle data. All Peel-off forms are constructed as a substantial 8.5"x11" label stock with a 3/8" peel-away border (on all four edges) which exposes the pressure sensitive adhesive. Quickly installs on the inside of the vehicle window. 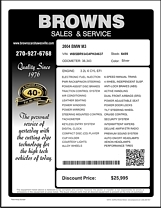 There is no extra charge for printing custom window sticker labels. There is just a one-time artwork, layout and proofing fee which is typicall $79 or less. You can also send us final artwork to completely avoid this artwork fee. The outside label materal is a strong, white polyester material with a peel-off backing paper which exposes the full-coverage adhesive. Installs on the outside of a clean vehicle window. AutoPlus Software and forms are designed to work as a system. Our software is designed to print AutoPlus forms; you may use your own Buyers Guides forms if you choose. If you desire to print window stickers using your own or third-party forms, a small usage fee applies. Contact AutoPlus Tech Support for assistance with third-party forms. Sales tax applies for Florida residents without a current sales tax exemption form. Copyright 2018 Tanner Communications. All rights reserved.